Happy Galentine's Day! If there's one thing Eleanor and I have in common, it's that we both adore our lady friends. 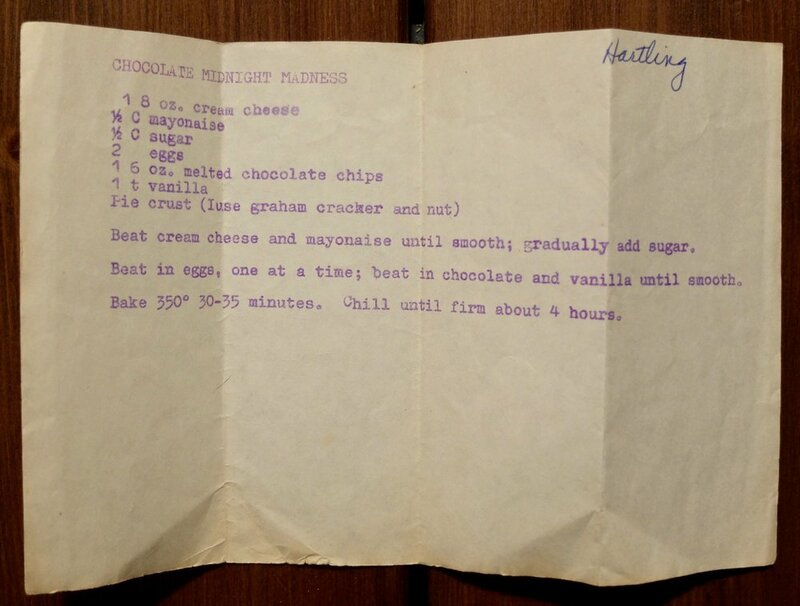 I was looking for a recipe to celebrate Galentine's Day and everything my friends have meant to me over the years when I found this recipe for Chocolate Midnight Madness. A dessert best served cold so you don't have to faff around with getting it out of the oven at just the right time: check. A deep, grown-up chocolate flavour that's just barely sweet with a crunchy, crumbly, toasted crust: check. A fun, silly name: check. And... the weirdest secret ingredient I never thought would work: check. This tart contains mayonnaise, my friends. MAYONNAISE. This would be weird enough, but we've discussed ad nauseum my deep, dark hatred for mayonnaise. But what's a woman to do? 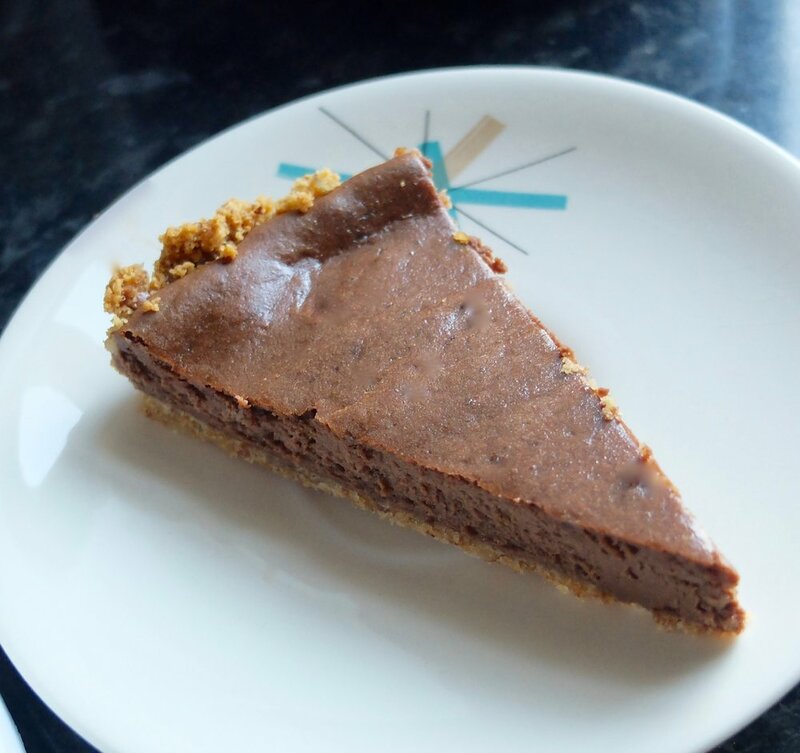 I had already picked out the recipe, I loved the idea of a chocolate tart, so I went for it. And to my surprise, I was rewarded with the best chocolate tart I've ever made. I mean, mayonnaise is really only eggs, oils, a pinch of salt and a pinch of acid- all ingredients that are included in every cake, but I was still horrified. How was I to justify this? Answer: I didn't. I just made the tart and let it speak for itself. And if you didn't know it was condiment-based, you definitely wouldn't be able to tell. Fresh out of the oven and still a little puffed before being chilled. It may not look like much, but this is a dessert worth making for your besties, preferably eaten in the kitchen, directly out of the pie plate with a dozen forks scooping it up after you and your pals come home from a long night of dancing. Whether or not you confess the world's weirdest ingredient? I'll leave that up to you. 5 spoons out of five. This tart is insanely good, super simple, and really impressive, even if tarts usually aren't your thing. Blitz the biscuits and pecans in the food processor until the mixtur e is fine crumbs. Pour the crumb/nut mixture into a removable-bottom tart pan or pie plate and spread across the bottom of the plate. Pour the melted butter over the crumbs and stir to combine, then press crumb mixture to edges and up the sides of the plate. Set crust aside while you prepare the filling. Beat cream cheese and mayonnaise until smooth, then add sugar gradually. Beat until well-blended, then add eggs, one at a time. Pour a few spoonfuls of the cream cheese mixture into your bowl of melted chocolate and beat with a spoon or whisk until combined (this will keep the mixture from splitting when you combine it). With mixer on low speed, drizzle chocolate mixture into cream cheese mixture, then continue beating until very smooth. Bake 30 minutes until edges are set and middle has a slight wobble when nudged. Allow to cool to room temperature, then refrigerate at least four hours or up to overnight. Serve plain or top with whipped cream, and eat it in the middle of the night with your best girlfriends.